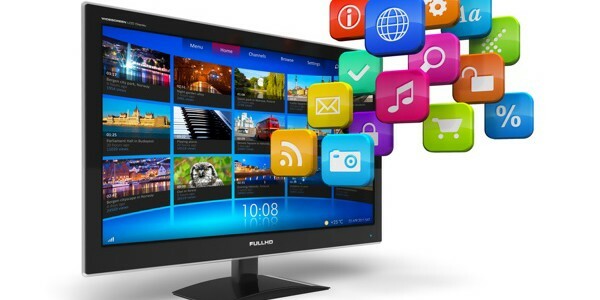 One of the growing trends in pay TV this year is for operators to integrate apps for the likes of Netflix and other SVOD rivals in their own set-top boxes. Is this a case of if you can’t beat them, join them? Comcast’s recent announcement that it has doubled down on its agreement with Netflix to be able to provide Netflix subs in new and existing Xfinity packages, highlights a new trend within the pay TV industry of collaborating with the big SVOD players rather than competing directly against them. With Sky recently announcing Netflix and Spotify integration and Altice also adding Netflix to its latest set-top box, this article puts all these moves and others into the context of a battle for viewers’ attention. Whereas once that meant ensuring your channel was near the top of an EPG, with all the costs that that could involve, the most important slot to occupy in the modern, app-driven TV ecosystem is HDMI 1 in the back of the current smart television. While television has evolved dramatically over the past couple of decades, the importance of being first on the list has never been underestimated. In the analogue era, national broadcasters valued being the first physical channel button in the list on the side of the set. And while this usually mapped exactly onto the first generations of EPGs when they were introduced, as more channels appeared, competition to appear at the top of the list in necessarily limited screen real estate became more intense. As television has become more app-based and less hardware-centric, that battle has moved on to the devices that occupy the prestigious HDMI 1 slot. But it’s interesting to look at the EPG before we get on to that, as it helps provide a real world financial value for the competition. Sky, whose Sky Q box will feature heavily in this piece later on, closed its Sky Digital platform to new channels in late 2007, citing a lack of memory in older boxes to support the growing list. As Campaign reported then, that started an immediate trade in EPG slots, with bids raging as high as £500,000 — £1m according to some reports — for entertainment channels with a high position. “The EPG is like the real estate market - location is everything,” said Canis Media Group founder Ed Hall, to Broadcast in 2008 (paywall). “As a result big name broadcasters will jostle for the best possible positions high up on the first pages of the EPG. At present, top slots on the entertainment page are worth tens of millions of pounds and those at the bottom only about £50,000, but prices are set to rise,” he added. It’s a charged area, with research suggesting that a significant loss of EPG prominence can be associated with drops in audience levels of anything between 10 - 40%. Sky will unveil an overhauled EPG following a lengthy consultation period on May 1 this year. +1 channels have been grouped together, the documentary genre merged with entertainment, HD simulcasts swapped with the SD channels that occupied the original slots, and more. And while very few people have been talking actual figures, the 17-week trading window that was opened up in the run up to the launch as people jockeyed for slots near the shop of the list has been extremely active. ‘Location, location, location’ is the mantra. And if it is important when it comes to the EPG, it’s even more important when it comes to HDMI 1 and being the first box of electronics that the modern TV accesses when it boots up. Typically in the digital TV era, that first device in line has been a set-top box. Whether accessing pay-TV or free to air content, the set-top box provides PVR functionality and houses the EPG, so effectively it acts as the gatekeeper to the content. However, that is no longer always the case. First, the rise of Netflix, Amazon, Hulu and the other international and regional OTT players has seen the position of the set-top box being plugged into the HDMI 1 slot come under threat. Data on this is hard to come by, but there is plenty of apocryphal evidence that households that tend to watch a substantial amount of OTT content turn to their streaming device first. It’s that device that becomes the first one that the viewer wants to turn on, marginalising the broadcast service in the process. Secondly, the rise of the app-centric approach to providing content has led to a profusion of content on more devices. It’s not just Netflix or Hulu icons sitting on the screen either. In the quest to maintain audiences broadcasters have made sure their catch-up services have become ‘app-ised’ and available on as many platforms as possible. When Apple launched its fourth generation Apple TV device back in September 2016, CEO, Tim Cook, stated boldly that "We believe the future of TV is apps.” And while the Apple TV has perhaps underperformed in the market for a variety of reasons, it serves as a good illustration of what pay TV providers in particular are up against. As well as nowadays providing 4K HDR content and a 64GB drive, Apple TV also provides access to the BBC iPlayer in the UK, the Atresplayer in Spain, Hotstar in India, Globo Play in Brazil, myCanal in France…the list goes on. A look through the listings of different Apple stores worldwide shows that it carries live and catch-up national or regional content in many territories, as well as, of course, providing access to the global players such as Netflix and Amazon. And all this is served up in a slick, Apple-designed UI with voice-controlled Universal Search that will search for content in all the supported apps. It’s never been easier for a single box to just sit there and be the conduit through which not only all OTT content flows, but effectively all content, full stop. It has been genuinely fascinating to see the broadcasting world’s response to that question and the threat of being shunted down the chain to HDMI 2 or lower. Away from the battles over content, and live rights for sports in particular, it has started to leverage the technical prowess of the set-top box to be able to provide consumers with an increasingly sophisticated service. Sky’s Sky Q box, possibly the most advanced on offer in the current global market, is a case in point. First introduced in 2016, it offers UHD by satellite, can record up to 7 shows simultaneously, allows users to watch multiple shows on multiple screens around the home, as well as pausing and picking up on another device, downloadable content to devices, universal search, voice control, and more. Via WiFi, it also provides links to a wide range of catch-up TV services: not just Sky’s but most major broadcasters. It also, over the coming weeks, will integrate Netflix into the deal, bundling the SVOD service into a new subscription package. It’s by no means the first pay TV provider to do this, even in the UK market, but Sky’s move has the feeling of a landmark decision. Sky’s business model has historically been based on Sky alone and a premium content offering rather than collaboration, so this is a notable change of strategy. And, as The Verge reports, the partnership is unusual in that Netflix typically provides its own app to set-top boxes. Here though, Sky is integrating Netflix content directly alongside its own content within the Sky Q interface. It’s not the only streaming service it is integrating either. Spotify is also launching on the platform in the forthcoming update and will be made available directly from the Sky Q interface. The result is an enviably pragmatic approach. A few years ago when the fourth gen Apple TV box was launched, it looked like the industry was forming into two very distinct camps of traditional broadcasters vs OTT and closed ecosystems vs open ones. The distinctions and definitions between the two are now blurring. There are of, course, complications, not least in the fact that the negotiations on these deals are complex and have to establish the rules governing splitting revenue from new subscribers, access to viewer data and other issues. But in the battle to make sure that the HDMI 1 slot remains theirs, there seems to be a definite truce developing between traditional broadcast and OTT. Chem Assayag is VO's Executive Vice President of Sales and Marketing. With a strong experience in the world of digital television and content services, and during his tenure at OpenTV, the worldwide leader in interactive television, he managed operations in Europe and the Middle East, growing revenues in the company’s largest business region. Chem also led the worldwide sales, marketing, and business development functions for the MediaHighway® product line at NDS (now part of Cisco Systems). 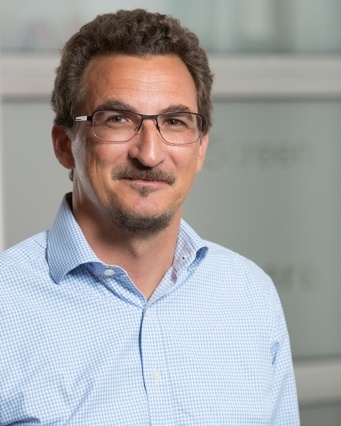 In the late 2000s he was also a key figure in Europe’s mobile TV and mobile broadcast industry, leading Qualcomm’s MediaFLO division in the region. Aside from his corporate sales and business experience, Assayag is an entrepreneur who founded, managed, and sold his own company, and has also driven a number of business startups. Chem graduated in management from EM Lyon, and holds a postgraduate degree in media management from ESCP Europe.